A few weeks ago we visited Snowsfield Primary School to meet and film the students and teachers who are using Teach Your Monster to Read. 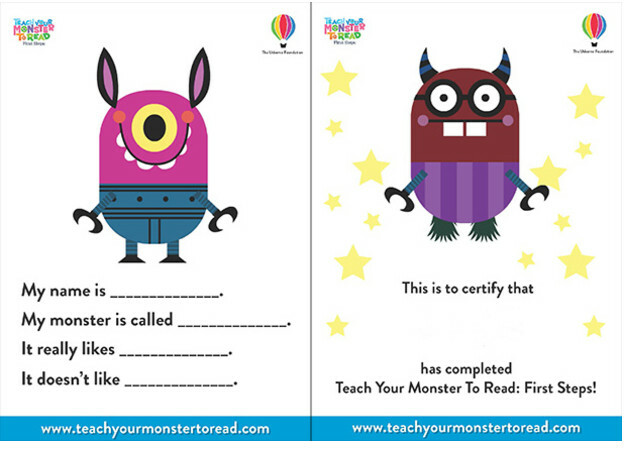 Snowsfield are big fans of Teach Your Monster to Read and use it regularly. In this video, teacher Matt Rogers and his students give us an insight into how it works and why they love it. 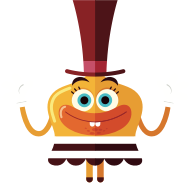 If you’re a teacher or a parent there may be a few ideas on how you can use the game with your little monsters. Let us know what you think, and if you’d like to be included in a future video, do get in touch! Help the Monsters find their Easter Eggs! We have a fun-filled Easter themed activity this month! The Island King has hidden 10 Easter eggs in this picture. Can you help the Monsters find all the eggs? 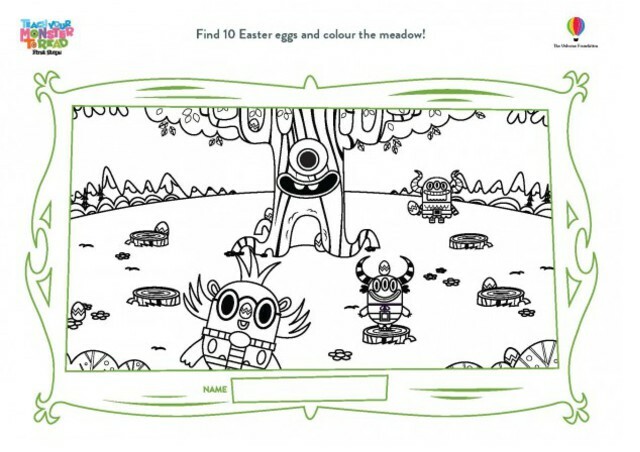 Once you have finished finding the eggs colour in the picture and send it in to Teach Your Monster to Read. We’d love to see them! Teach Your Monster to Read attended the Education Show last week, where we had the opportunity to talk to lots of teachers about the game. It was a successful day, with many teachers telling us that they had introduced the game to their students and were enquiring when the next game was due out. Those that hadn’t heard about the game were keen to give it a try and introduce it to their students. The visit to the show was also insightful and inspiring with a number of new resources and projects catching our attention; for example, Lead to Change – an education hub set up in Stoke to encourage young people to learn about leadership and education; SEN Assist and Early Shakespeare – two thoughtfully made resources that offer original material for Early Years and SEN students, and The Playclub Project – a fantastic project that helps parents to get involved with their young children’s education at home. Teach Your Monster also attended the Education Resource Awards. We didn’t come away with an award this year but we were honoured to have been nominated and it was great to to see 2Simple’s, 2Build a Profile win. For a full list of the winners, take a look at the ERA website. This was the first year at the Education Show for Teach Your Monster to Read and we’ll certainly be going back next year. If you have any highlights from the show , please get in touch as we’d like to know what we missed! Colour in and label your monster. The monster has been feeling ill and he needs some Spring colour to help cheer him up. Can you colour in the monster and make him feel better? We’re up for an Education Resource Award! We’re excited to announce that Teach Your Monster to Read is a finalist in the Education Resources Awards this year, in the Early Years Resource and Equipment category. The Education Resources Awards are produced by BESA – the trade association for education suppliers. The awards focus on the resources, services and people that really make a practical impact on learning and the day-to-day work of the teachers in the classroom. We’re really pleased to be a part of this celebration and amongst some of the best educational products and services in the industry. Teach Your Monster to Read has some tough competition in it’s category from 2simple: 2 Build a Profile, Reflections on Learning: WordWand and TTS Group: Turtles and Mobile Mini Phone. The awards will be announced on March 15th. Wish us luck! Personalised Monster Posters and Certificates! The poster is available once the player has started playing the game – click the ‘Poster PDF ‘button next to the player’s name. You can then give your monster a name and write about what it likes and dislikes. A certificate can be downloaded once a player has completed all the levels and the monster’s spaceship has been mended. Hurray! Send in pictures of your monster posters – we’d love to see what monsters you have created. Good luck playing the game! January Activity: Monster goals for 2013. 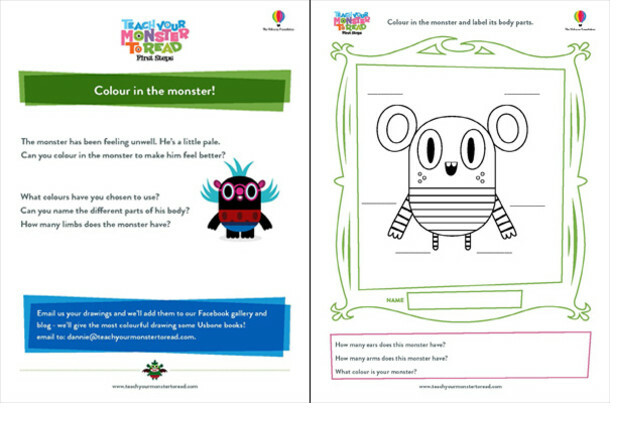 Here’s a new monster related activity to download at home or at school. What are your monster’s goals? It’s January and the monsters are really looking forward to the year ahead. They need your help. What goal should they set themselves for this year? 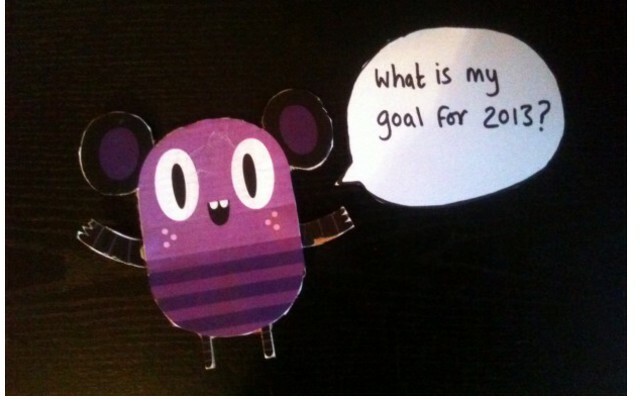 Can you draw what you think your Monster would like to set as their goal for 2013? Teach Your Monster to Read will be going along to BETT 2013 this year. We’ll be there the full four days, talking to teachers and students about the game and offering demonstrations of the next game from the Usborne Foundation, due out this Summer. In this session, Peter and the team will give you a run down on the game and how it works. You’ll also get a chance to see plans for the next game, and tell us how we can make it better. We’d love to hear your feedback so come along and get involved! Sign up to meet us at BETT 2013 using our doodle calendar: http://doodle.com/xmeu23mt433ivtuh or just come down on Saturday morning and have a chat to the team. We have been using the program for around 3 months, mainly with our children in EYFS. However we have also begun to use it with our pupils in Key Stage 1, as both a preparation tool for the Y1 Phonics Screening Check, and as a way of engaging the children with Phonics through an interactive medium. The program is a perfect mix of both engaging content and stimulating ‘graphics’ to keep the children entertained and most importantly LEARNING! The main point I have to make about Teach Your Monster to Read is that it works! 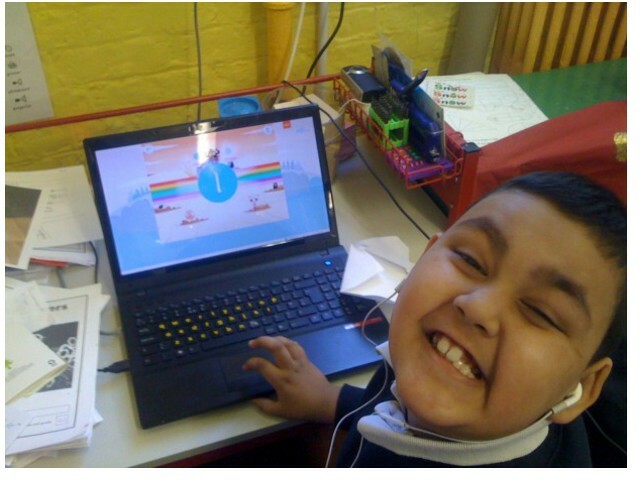 We have seen first-hand the difference that it has made to our children, when used both as a whole class/small group session (our Reception and Nursery classes have a class monster they travel with together), and also on an individual level; the children are ‘glued to the IWB/Computer screen’. I am a Year 3 teacher – I have worked both in EYFS and Key Stage 1 prior to this- and I understand phonics and the role it plays in children’s learning. I know the game itself is initially targeted at the early Phases within Letters and Sounds and so would not necessarily be appropriate for the children in my class. However, we have one child with ASD who is absolutely addicted to the game. In the 2 years I have worked with him we have made very little in the way of progress in terms of phonics, but since the introduction of Teach Your Monster to Read we have seen a dramatic improvement in both his engagement with phonics and the retention of what he has been learning. It’s definitely the ownership of teaching his monster what he ‘already knows’ that drives him on! The children (and I) are really looking forward to the next instalment of the game, where we can continue our learning journey! This article is written by Alison Anderson, a Kindergarten Teacher in the US. She explains how game is used in class and why it works so well. The kindergarteners at my school enter with an incredibly wide range of literacy abilities, so we know we need to quickly focus on their reading skills immediately in order that everyone, from the high achievers to the ones still struggling to recognize their letters, will end the year strong. Not always an easy task. Therefore, it becomes a joint effort for all the teachers who work with the Kindergartners, to support the building of their literacy skills. My job only allows me to see the Kindergartners in the computer lab for a short time once a week. When I think about where they need to be by the end of this year in order to succeed as 1st graders, I know any time we can spend reinforcing literacy will never go wasted. So, I searched to find a program that they would not only like and get excited about, but also truly help them learn to read, no matter what skills they had upon entering Kindergarten.By some divine intervention (I’m pretty sure it was a tweet, but I can’t remember from who) I found the site Teach Your Monster to Read. The title was too cute not to investigate further and I am so thankful I did. Funded by the Usborne Foundation, a quality children’s book publisher from England that truly understands quality literature for kids, it is no surprise the site provides such high quality instruction. What does surprise me though, is the beautiful graphics, ease of navigability and high level of engagement of this online program for the students- because it is completely FREE but it feels like playing a software game that should cost a good amount of money to access. 2. It’s a game that gives students multiple points of motivation. The strong readers feel successful because they are moving through the different “worlds” quickly. The ones who are still need more work on phonics earn prizes for their monsters each time they master a letter sound. Either way they all get excited and keep working because they want to see what happens next, staying involved and excited for the game. 3. The monsters are endearing characters and give the students ownership. When my Kinders come into the lab, they ask about their monsters right away and I tell them their monsters have missed them! They haven’t learned anything more about reading since they were gone! They need to get back on the computers and help their monsters learn! 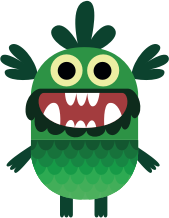 The students love to click on the screen, log in with a quick/easy Kindergarten friendly password, and see their monsters just where they left them last. 4. We can take breaks from playing the game and use the monster characters for other lessons. Art projects- we can draw them with digital tools or on paper to hang up around the lab. Storytelling- we can give our monsters names and unique personalities and write letters to them or tell stories about them. Across the curriculum- integrate them into other skills- like using them for math or science problems. As the year goes on, I am excited to watch the Kindergartners master phonics as well as think of more ways to use the monsters to teach. Halloween has passed this year, but the monsters will definitely be staying in the lab with my Kindergartners and I, thanks to Teach Your Monster to Read. The original article was posted on www.gettingsmart.com – a website dedicated to sharing articles and resources on digital learning. Thank you to Alison and GettingSmart.